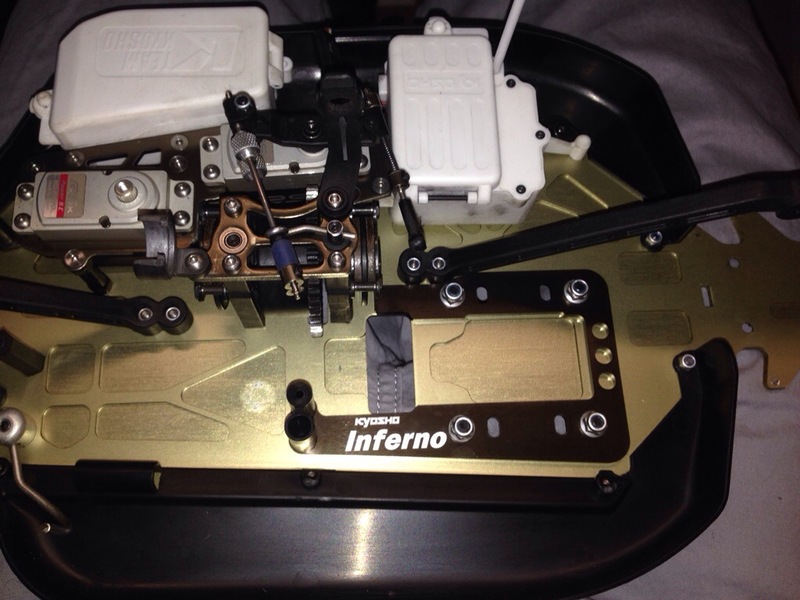 Put on the new Kyosho MP9 engine mount plate. It’s pretty awesome when you can work with a company that actually views your thoughts and opinions as important. Kanai and I have a pretty good relationship and an understanding of each other. We don’t need to talk all the time, he does his thing, he lets me do my thing, but if I have a suggestion, or he has a suggestion, we can talk about it. After Indonesia last year, I talked to him about having a new engine mount, something to lessen the flex around the engine. With my flame out issues, it seems to be on the landings of jumps, maybe that has something to do with it. Boom…..a few months later and we have a new U shaped engine mount plate. Nothing over engineered, just a new part that might help performance, which is the ultimate goal. I’ll be testing it out this weekend in Texas at the ROAR Nats warm up race. You don’t use Ko RSX2 ? You use Ko RSX, why ?